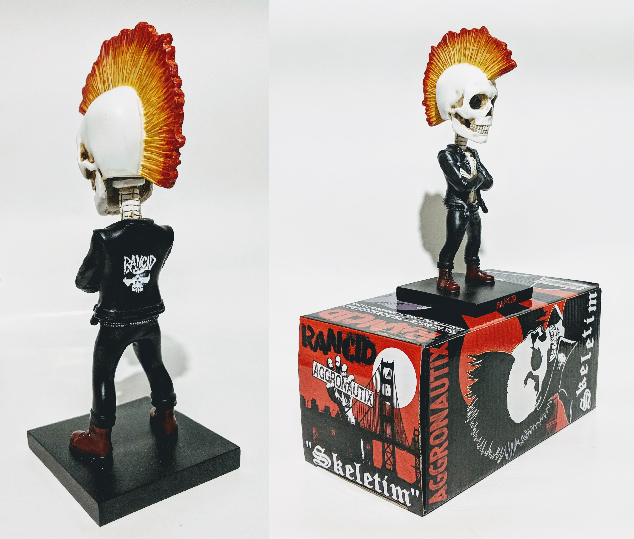 RANCID’s “Skeletim” mascot has been transformed into a Throbblehead! This figure is limited to just 1000 hand-numbered units, stands at 7″ tall, and is made of a high quality polyresin. 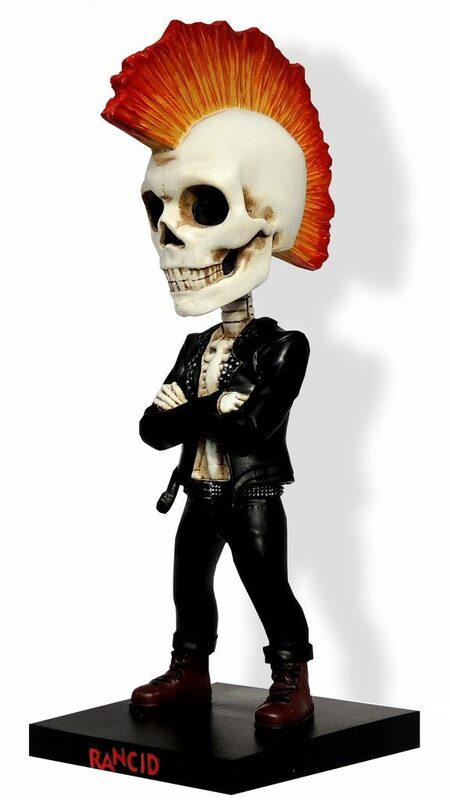 Skeletim is rocking a studded leather jacket, oxblood docs, and a classic sunburst mohawk.